Only You | Choose Your Energy: Change Your Life! We sometimes think we can’t make an impact unless we have a lot of influence or money. And so we put off doing anything–even the smallest act—because we think it can’t possibly make a difference unless it’s big. In those moments we forget that every action matters, no matter how small. In fact, it’s often the seemingly tiny contributions that change others’ lives in the most dramatic ways. Taking care of our families, coaching the youth soccer team, coordinating the bake sale for school or running our small business, we are constantly presented with the opportunity to do good for others. When we bury ourselves in busy-ness, we never notice how much these simple acts of service really do matter. Or we downplay the influence we have on others. Instead of seeing all the ways we make a difference, we say “oh, it was nothing,” and we believe it. 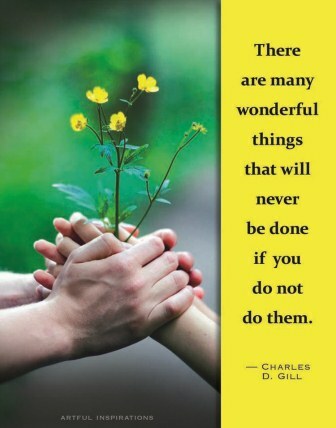 In truth, there are many wonderful things that can only be done by you. You are the one we’ve been waiting for. What good can you do for someone else today? It doesn’t have to make the news in order to be life changing. And it doesn’t have to be life changing for it to matter. Every kind word, every act of service, every demonstration of love matters to the person on the receiving end. Don’t miss your opportunity to brighten our day. We need you. This entry was posted in All My Blog Posts, Authenticity & Purpose, Joy & Vitality and tagged Deborah Jane Wells, What is authenticity, What is joy, What is life purpose, What is my life purpose, What is the meaning of life, What is the purpose of life, What is vitality. Bookmark the permalink.